Studios large and small are moving from using in-house technology to embracing external engines. Why make the move, and how can you get it right? 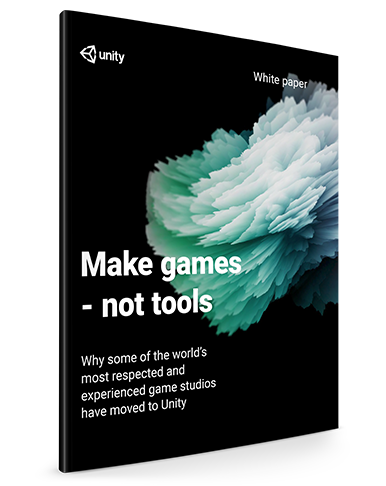 Developers from some of the world’s most respected and experienced studios have shared insights on what motivated their teams to look beyond established in-house tech. Learn from the best, including the studios who have produced titles as distinct and brilliant as Hearthstone, The Bridge, Grow Home, Plague Inc., and Hitman Go. Come away with an informed understanding of whether it makes sense or not to move completely or partially away from your internal technology. Chapter 1: Why move from custom? "The most useful part of Unity, really, is the ease of use. It's so simple to develop a prototype very quickly, and that makes a huge difference for us."